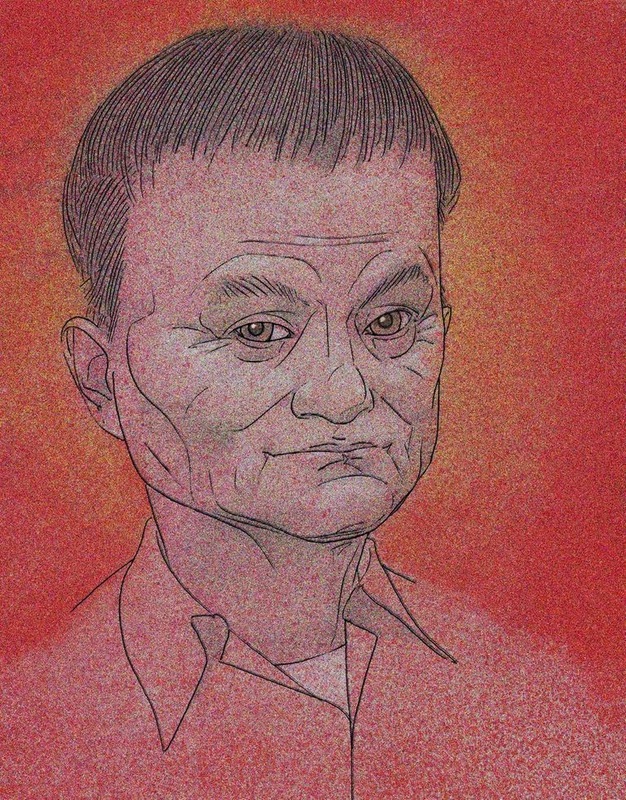 David Johnson completed this spot on portrait of Jack Ma for the Wall Street Journal in an article featured in the beginning of May. The article focused on the Alibaba founder's announcement that he was stepping back from the company as it takes its first steps in the global arena. We'll see, says WSJ, we'll see...Ma is an aggressive competitor who drives his employees hard, especially when he feels like the company is lagging behind the competition. When it became clear Alibaba’s chat service was failing to loosen the grip held by Tencent’s Wechat, he told employees they each had to sign up 100 active users or their bonus was under threat. Check out the online article, here. See more of David's work here!